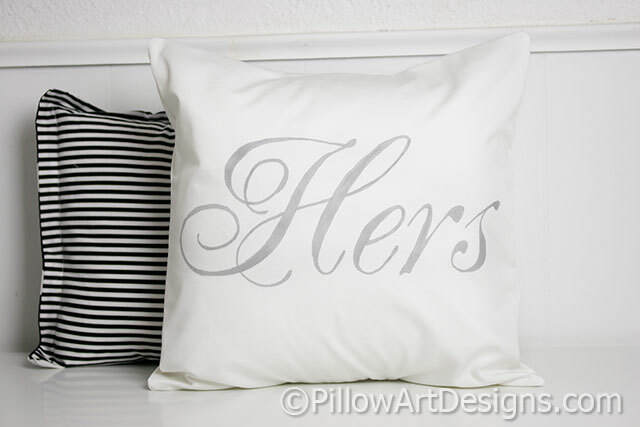 A set of two pillow covers with 'His' and 'Hers' painted on the fronts, made to fit 16 X 16 inch pillow inserts (not included). 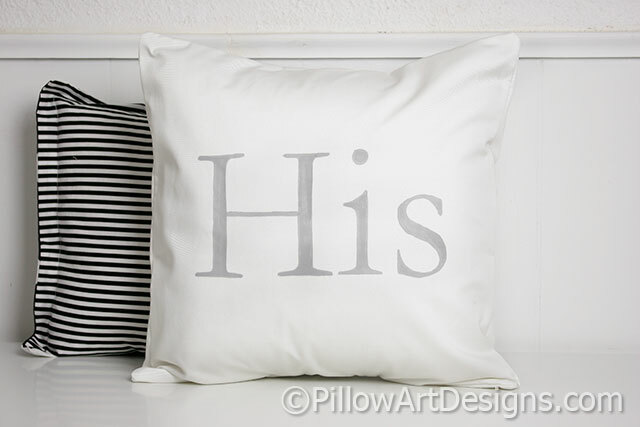 A mini pillow with your special date painted under a heart centered between two scrolls, comes stuffed with hi-loft polyester fiberfill (no need for an insert). Outer fabric is white cotton polyester twill. 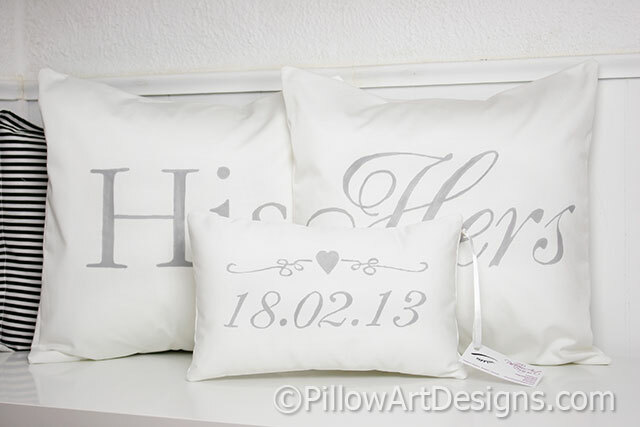 All covers are fully lined with white cotton polyester, giving the covers a nice fit and finish. To order, add this item to cart and go through checkout process. 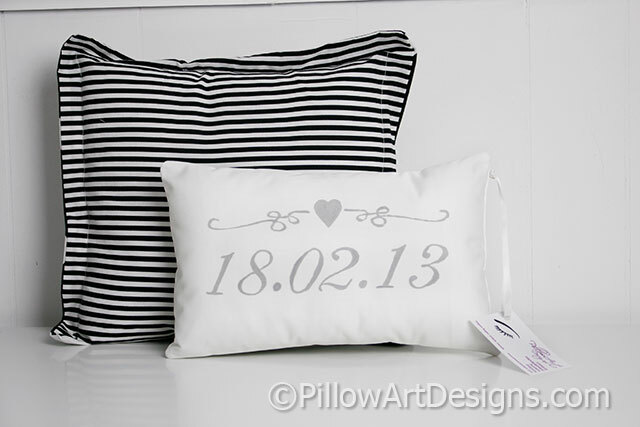 Don't forget to send me an email here with your date for the front of the mini pillow. Please allow me 1-2 weeks to complete your order (just depends on my workload). If you need your order rushed, contact me here to make arrangements.